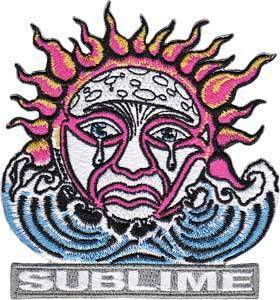 This Sublime patch features the iconic weeping sun logo design. Approximate size is 3 1/4" x 3". Embroidered patches can be ironed on or sewn on. Officially licensed Sublime merchandise.